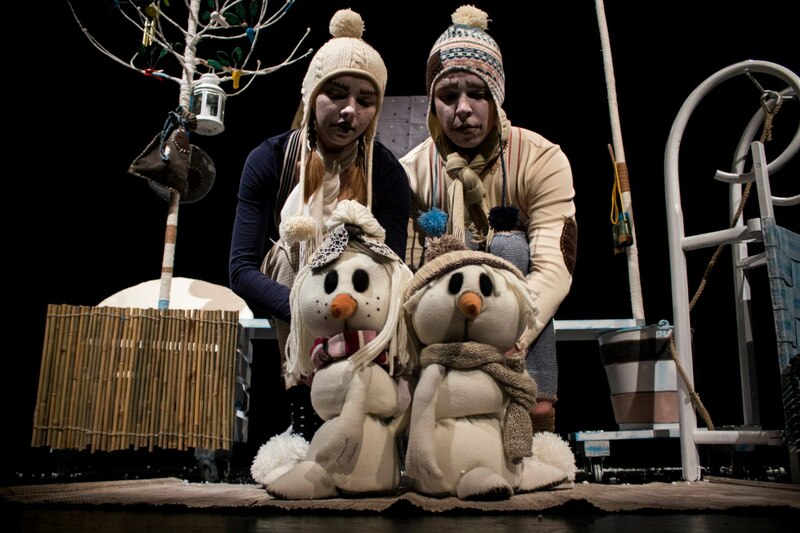 The show tells a story of two Snowmen who , not knowing what the sun is, set out on a journey to look for it and ask it not to melt them. Unfortunately, nothing goes according to their plan. On their way, they meet various wood animals: a Crow, a Bear and a Hare who cannot wait for the spring and the first warm sunrays. Will the Snowmen make it to see the sun? Will the wood animals wait to see the spring? Set out on a journey with us- a journey full of adventure- and see it yourselves!